Step-1: login to the WHM as root access. 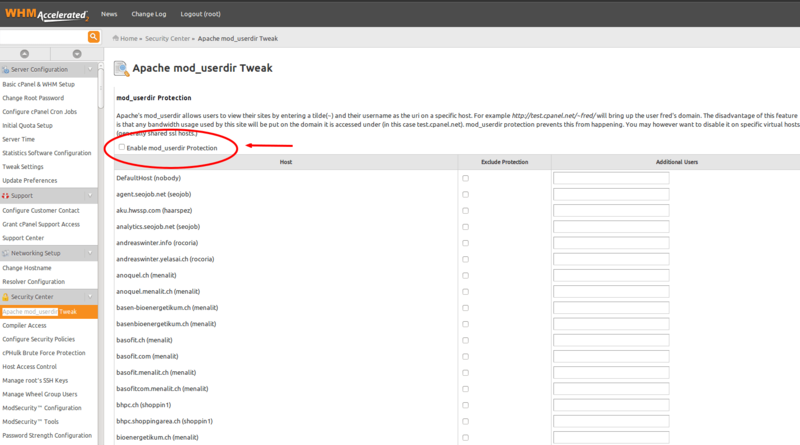 Step-3: Disable mod_userdir protection. At the End of the page click Save.